Long-lasting iron-on results are possible. 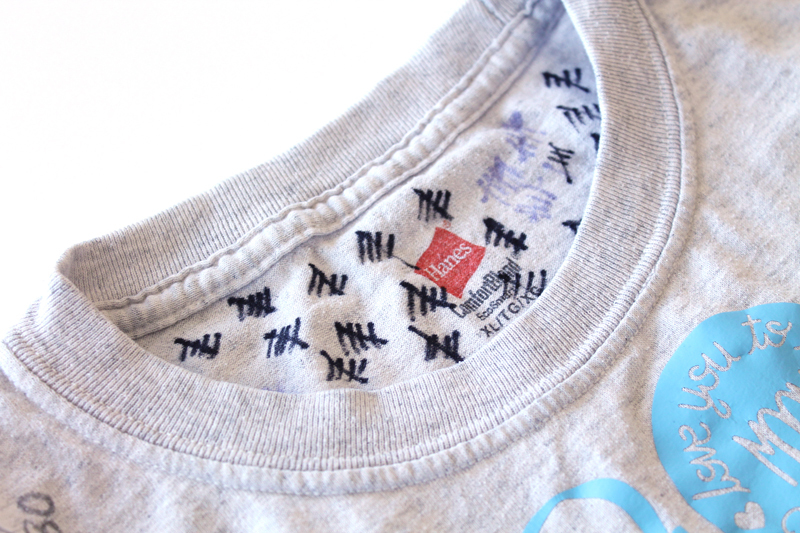 Read below for tips on how to ensure you create flawless iron-on projects that last. If iron-on projects are your favorite, like mine, I know how frustrating it can be to cut your project, adhere it with a home iron and the iron-on starts to peel, crack or wrinkle after a few washes. Well, I am here to tell you that permanence with iron-on is possible. It all starts with using high-quality iron-on (aka heat transfer vinyl or HTV). At Cricut, the quality of our iron-on material and EasyPress are now best-in-class. We have come a long way thanks to you! We listened to your feedback and went back to work perfecting the science behind creating premium iron-on and putting in place the most advanced machinery and technology. 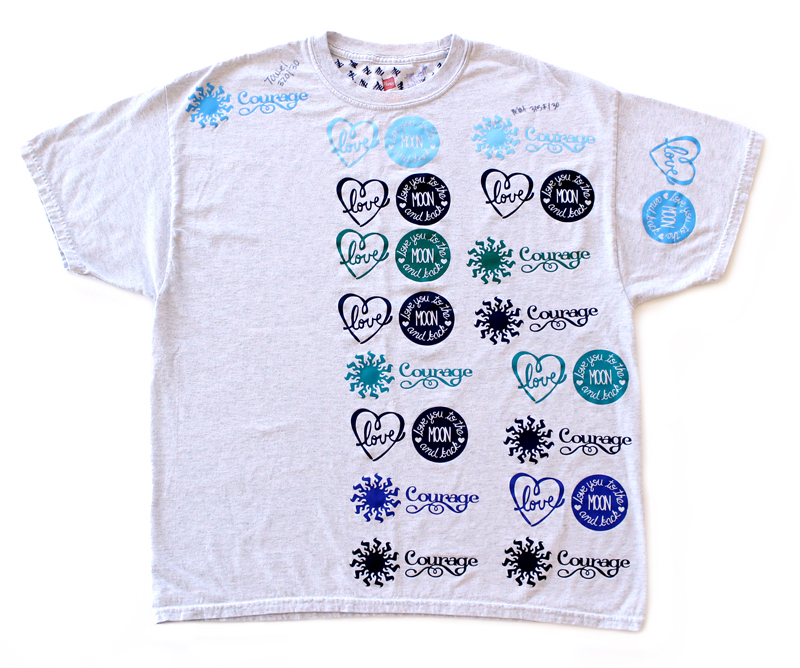 Our quality teams have spent countless hours testing to ensure the iron-on experience is flawless and results last long after your t-shirts and other projects have been made. This is why we now have in place our StrongBond™ Guarantee on many of our iron-on materials. This means that when Cricut Iron-On is used as directed, you’ll be completely satisfied with the results. If not, we’ll replace it for free. Seriously! Our Quality Assurance Team conducts exhaustive testing of all iron-on until it reaches its failure point (peeling, wrinkling or cracking). This t-shirt with Cricut Everyday Iron-On has been put to the test. Look closely to see all those hashmarks! Each one represents a washing cycle. Our QA Team tests iron-on across a variety of materials. From these tests, we then can provide exact time and temperature recommendations for best results. 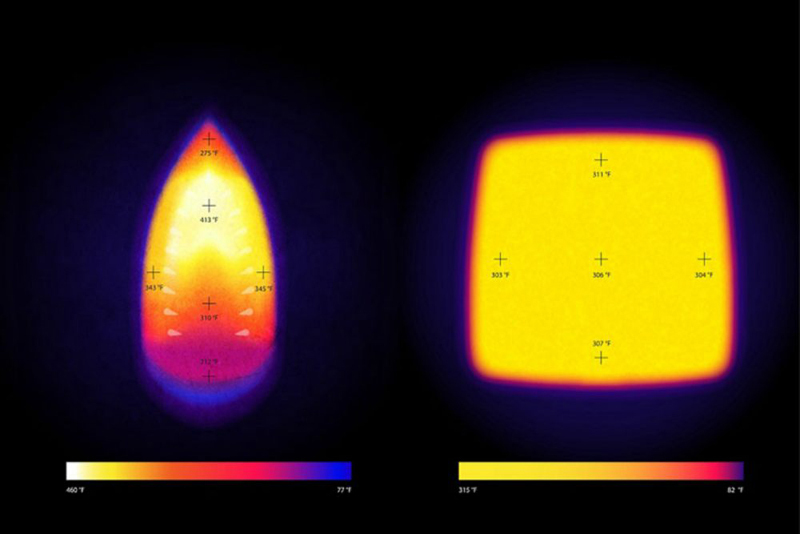 Even heat: For heat-transfer material like iron-on to successfully adhere, it needs even heat. And that’s why we introduced Cricut EasyPress. Two heating elements snake through the plate, creating perfectly even heat and flawless, long-lasting iron-on transfers. Because we eliminated the hotspot, a press cloth is rarely, if ever, required. Exact temperature: Iron-on film adheres to fabric when a heat-activated glue reaches a given temperature range. The temperature required will be different for foil iron-on film than it will for glitter iron-on film, etc. That’s why we recommend using Cricut EasyPress with Cricut brand iron-on products. 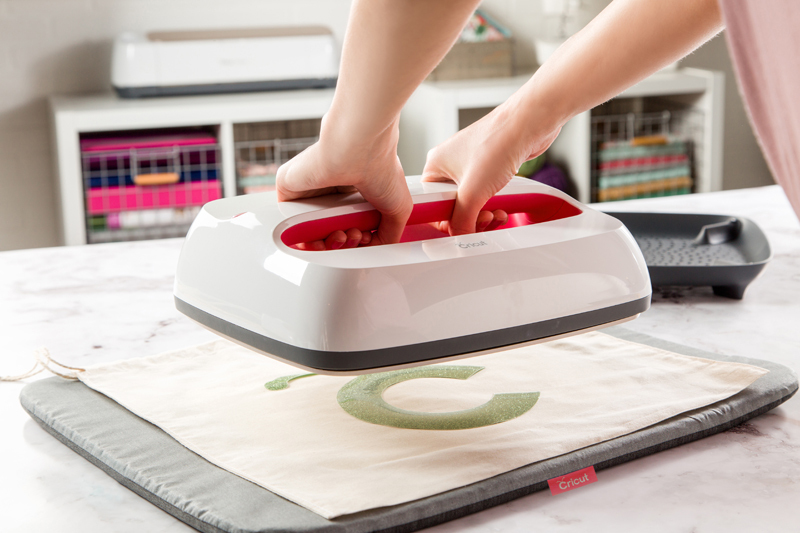 Rather than suggesting “average” temperature and time settings for any old heat press on any random fabric, we give you precise Cricut EasyPress settings that have been rigorously tested using every Cricut iron-on type. Use our recommended settings chart to make every project perfect. Flat Surface: The flatter your work area, the better. And unless you want flimsy results, avoid flimsy ironing boards. Use the super-flat Cricut EasyPress on super-flat surfaces, along with a Cricut EasyPress Mat, and you will get super long-lasting results. Make sure your surface is heat-resistant and ideally waist high for ease in applying the needed pressure. Know the type of fabric and the type of iron-on material you are using and reference our recommended settings chart. Always pre-wash and thoroughly dry your fabrics. When washing, do not use fabric softener. 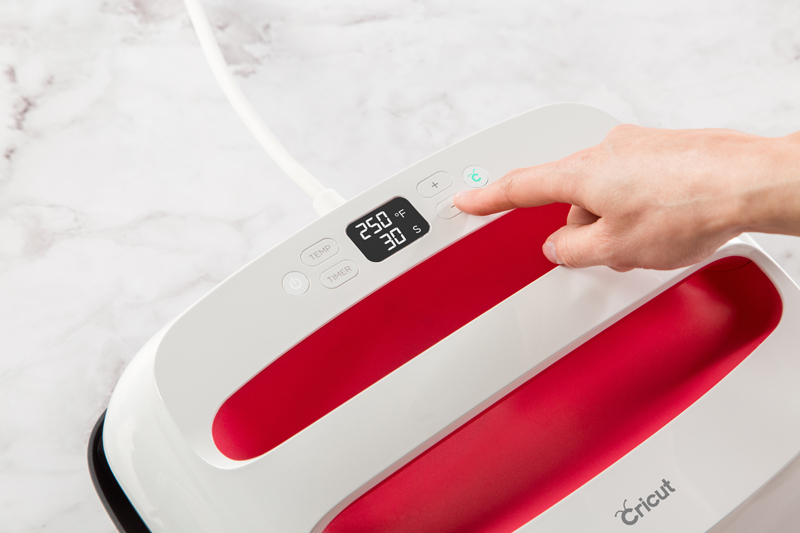 Just before transfer, preheat your base fabric for 3-5 seconds to remove wrinkles and moisture. After adhering your design, flip your fabric and repeat on the other side. Use the same settings. Wait at least 24 hours before washing. *Different types of Cricut Iron-On have different care instructions. For example, Cricut Foil and Holographic Iron-on should be hand-washed in cold water only. Be sure to follow washing and care instructions carefully (see instructions on packaging). If you follow the above tips you too will make t-shirts and other iron-on projects that will last. If you have additional questions about iron-on, please visit our FAQ Page or reach out to Cricut Member Care at cricut.com/contact-us.